Best PC Suite and SMS from PC Apps for Android | Live to Learn! Most of the time we may feel as nuisance to take mobile and reply to the SMS while using PC. Here, I am listing some best apps to send SMS directly from your Computer to get rid off this problem. These apps can be used as File Manager / PC Suite for any Android Mobile. These works both on WiFi and USB cable, also free and no ads. 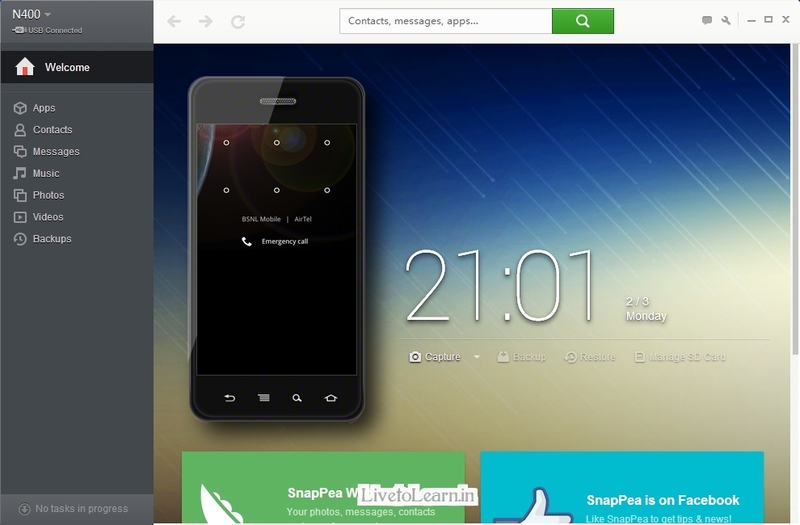 SnapPea web mode supports contact & apps management, messages and photo upload.